Higher education standards for financial advisers are an important step towards professionalism, but they’re not the only thing. The retention of wisdom within the advice community is just as important. 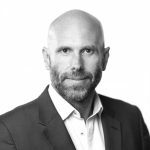 CoreData research has uncovered that the advice industry contracted over the past three months, with twice as many experienced advisers leaving the industry as the number of new advisers who joined. That’s a concerning insight, even without the feared exodus of the most experienced advisers from the industry by 2024. It’s concerning, because while education and competence are highly valued by clients, so too is experience. And the wisdom from experience can’t be replaced by a degree qualification. As every planner who has advised clients on their life savings during the GFC knows, you can’t learn everything you need to know from textbooks. And I know from personal experience that a financial planning post-graduate degree doesn’t teach you what you should say to a grieving widow whose husband has died during his first weekend of retirement. So, with the exit of each experienced adviser from the industry, the advice community becomes weaker. And our clients and other everyday Australians are the poorer for it. About 400 years ago the English poet John Donne wrote Devotions upon Emergent Occasions. The Devotions were written as Donne was recovering from a near fatal unknown illness. His 17thdevotion, Meditation XVII, is one of his most famous. A main theme of the devotion, later turned into a poem, was that “no man is an island, entire of itself”; that human beings are social creatures who function best within communities. We function best within communities because we are held accountable for our behaviour by others we respect. In communities, we are required to overcome our natural inclination to always act in our own short-term best interests. We look out for each other, and make decisions that benefit the collective, not just ourselves. John Donne believed that whenever someone from the community dies, those who left behind are worse off. He was more eloquent: “Send not to ask for whom the bell tolls, it tolls for thee”. Some of my colleagues at CoreData have analysed ASIC data for recent movements of financial advisers. 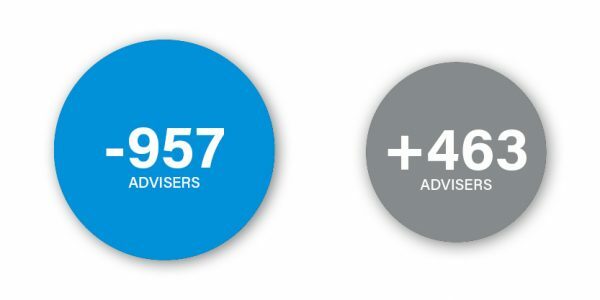 In the three months ended 30 June 2018, a total of 957 advisers were removed from ASIC’s financial advisers register, and only 463 new names were added. That equates to a net loss of 494 advisers. More simply, in those three months, advisers left the industry at twice the rate they joined. Now, these are short-term figures, but they may be just be the start. The official standards body for advisers, FASEA, has proposed education standards that have left the most experienced financial advisers feeling disrespected. While FASEA’s consultation has now closed, it is still considering submissions. According to the FPA’s member research into perceptions of the FASEA proposals, which was independently analysed by CoreData, around one in three advisers (34 per cent) plan to retire or quit as a financial planner. Of even greater concern, around seven in 10 veteran advisers (68 per cent) with more than 20 years of experience plan to leave the industry. So, who is detrimentally impacted if this exodus of experienced planners happens? Well, clearly clients, since fewer will be able to access life-changing services. CoreData research tells us that those people who have an active relationship with a financial planner are demonstrably wealthier, are able to spend more, and have greater financial wellbeing and peace of mind than those who don’t. But even those clients who are able to access advice will lose out. They will lose out because the quality of advice will fall. Advice quality will fall because mentors within the professional community will leave, and they’ll take their wisdom with them, leaving advisers with shiny new degrees and great mathematics skills, but no professional judgement. The fact is it’s difficult to study in our mature years. Many older advisers feel stressed by the prospect of studying again and they feel disrespected, particularly CFP Professionals who are proud of their designation and committed to raising professional standards. Most of these experienced professionals are highly educated, and they’ve already displayed a willingness to stay up-to-date with professional development. Any transition to higher minimum education standards needs to be respectful of the past and ensure that planners don’t cover old ground. They’d much prefer to specialise further, and grow, than complete a bridging course. The community of financial planning professionals can’t afford to lose its most experienced advisers. If we lose these mentors, then those who remain will be worse off.